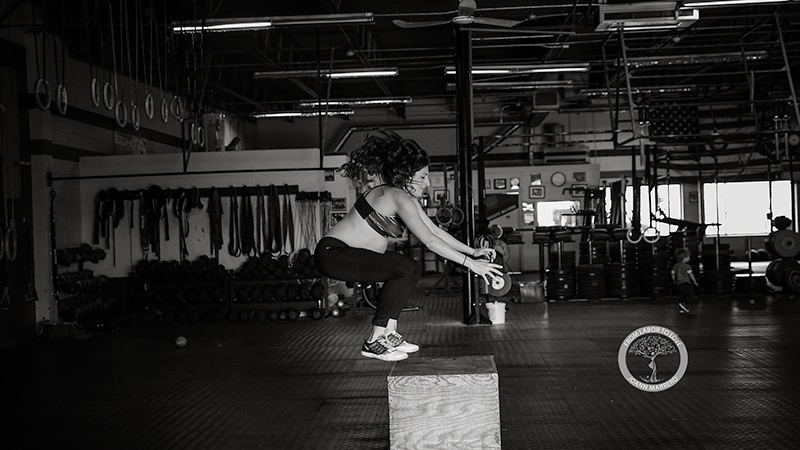 CrossFit enthusiast Lauren Ferris isn’t exactly your average mom. So when it came to choose a theme for her maternity photoshoot, she stayed away from pastel palettes and flouncy dresses, and went with something decidedly less… traditional. 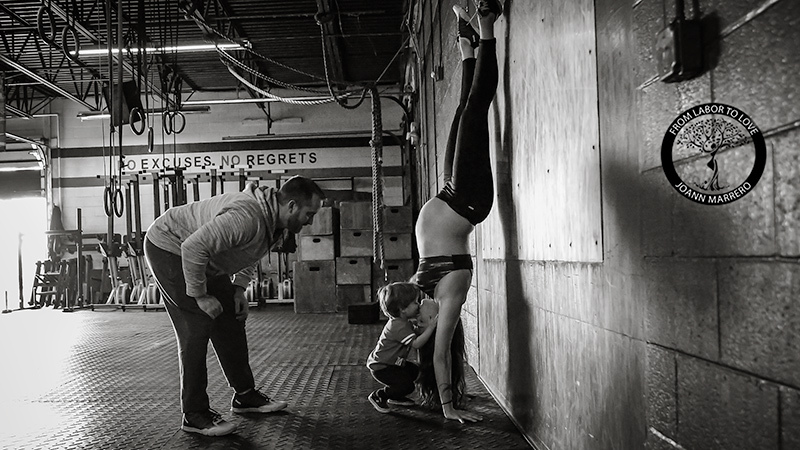 At 36 weeks pregnant, the 29-year-old fit mom was joined by her 2-year-old son, Connor, and her husband, Garret, for a CrossFit-inspired photoshoot. The resulting black-and-white images are nothing short of spectacular. Featuring Ferris in a sports bra showing off her gorgeous bump, the mama-to-be manages to look seriously fierce — yet serene and glowing— all at once. The myth that pregnant women shouldn’t exercise has long been debunked; in fact, many doctors recommend that expectant mothers remain moderately active in order to maintain a healthy pregnancy. And although her workout looks intense, Ferris modifies her pregnancy workouts to accommodate her growing body. She also never pushes her body beyond what it’s capable of and always has an experienced coach nearby. Increasingly, experts agree that staying fit during pregnancy is extremely important. Not only can it help with stress relief and dealing with hormonal changes, but also, “staying fit throughout pregnancy promotes shorter labor times, easier pushing, emotion wellness during childbirth and a much quicker recovery,” says Marrero. 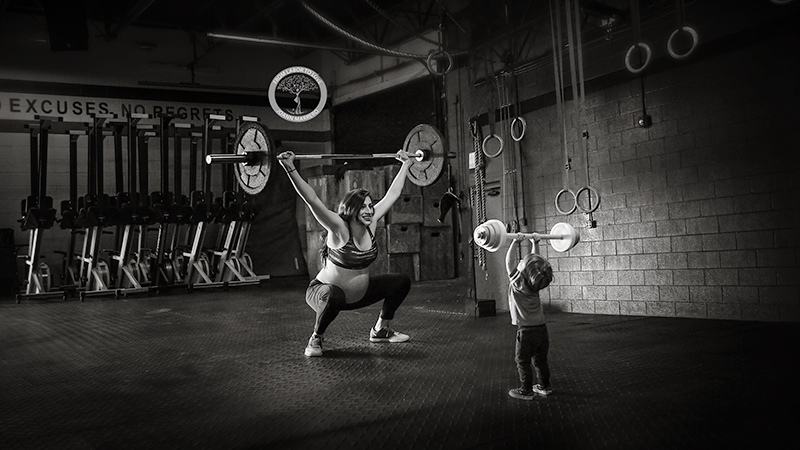 Ferris, who continues to do CrossFit four or five times a week, exercised throughout her first pregnancy and experienced the benefits firsthand. “Working out helps give me energy, keeps me in shape and keeps my muscles strong — and I think that really translated to having an easy labor and birth as well,” she says.